With optimal water volume and flow rate absolutely paramount, river waves are a mystical beast. 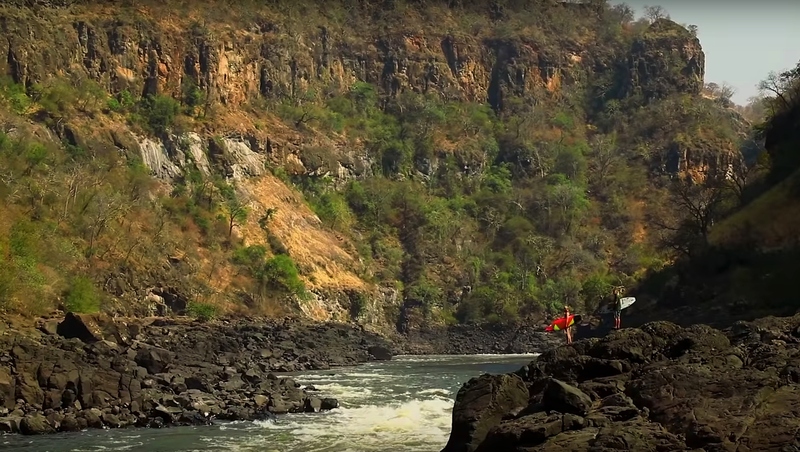 On the Zambezi, when those conditions align, the river produces a standing wave with more poise and power than most its counterparts around the globe but with a labyrinth of whirlpools, boulders dangerous wildlife mixed with the fast moving current, its not without its dangers. Unfortunately though with upstream plans for a hydroelectric power plant, which would severely impact the flow of water on the Zambezi, it’s a wave which may not be around much longer.